Eight months. Eight long, grueling, harsh, despicable, PROFOUNDLY unjust months have passed since Sheikh Ibrahim Yaqoub al-Zakzaky was locked up on false charges and his partisans were massacred in Zaria by the increasingly disgusting, tyrannical and collaborationist regime of US-‘Israeli’-Saudi servant Muhammadu Buhari. This murderous despot, who claims to be a representative of African “democracy”, has tried his best to paint the Sheikh as a “Shi’a terrorist” who threatens “state security” in an attempt to brainwash the Nigerian everyman into thinking that there isn’t a criminal Zionist-Imperialist scheme at play here. Buhari’s ploys, cooked up in Riyadh, Herzliya and Langley, may have worked on large chunks of Nigerian “Muslim” society–i.e. 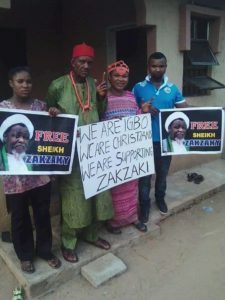 that “Islamic” sector bought and paid for by Saudi petrodollars–as well as “The Ummah” at large which remains disturbingly and horrifically indifferent to the plight of Zakzaky–also due to Al-Saud’s filthy money–but it has not had any affect on Nigeria’s Igbo Christians, who stand with the Sheikh in full, beautiful, inspiring, cross-communal solidarity. Sheikh Ibrahim Yaqoub al-Zakzaky has spent his life striving tirelessly to bridge ethnic, religious and sectarian gaps in Nigerian society opened up by the Rothschild-financed British colonialists and he prides himself on having many close Christian comrades. 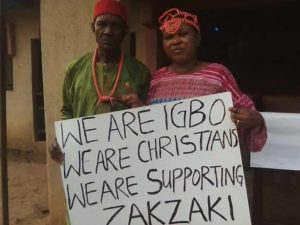 Clearly, those efforts have paid dividends as Christians are now coming to his defense in defiant droves and have in fact been calling for justice on behalf of the Zaria Martyrs since the unspeakable crime was committed by Buhari’s Zionist-backed army last December. These gorgeous, resistant followers of ‘Isa al-Masih (A.S.) are sending a strong message to the Buhari regime and its backers: We shan’t be fooled by hasbara! We shan’t be tricked by the lies of a Zio-Empire-owned dictator! And we shan’t be divided! 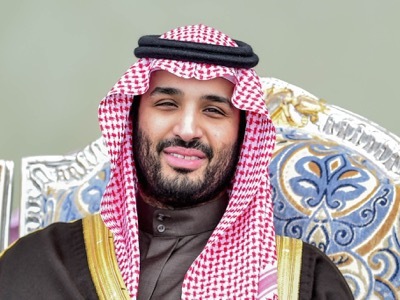 Prince Mohammad bin Salman Al Saud, 30 years old, substitute Crown Prince, second substitute Prime Minister, State Minister, Minister for Defence, General Secretary of the Royal Court, President of the Council for Economic Affairs and Development. n one year, the new king of Saudi Arabia, Salman, 25th son of the founder of the dynasty, has managed to consolidate his personal authority to the detriment of other branches of his family, including the clan of Prince Bandar ben Sultan and that of the old King Abdallah. However, we don’t know what Washington has promised the losers in order to dissuade them from making attempts to regain their lost power. In any case, certain anonymous letters published in the British Press lead us to believe that they have not abandoned their ambitions. Forced by his brothers to nominate Prince Mohamad ben Nayef as heir, King Salman quickly isolated him and restricted his powers to the advantage of his own son, Prince Mohammed ben Salman, whose reckless and brutal nature is not restrained by the family Council, which no longer meets. De facto, he and his father govern alone, as autocrats with no counter-power, in a country which has never elected a Parliament, and where political parties are forbidden. So we have seen Prince Mohammed ben Salman take over presidency of the Council for Economic Affairs and Development, force a new direction on the Ben Laden Group, and seize control of Aramco. Each time, the goal is to distance his cousins from power and place liegemen at the head of the kingdom’s major companies. In terms of its interior policy, the régime favours only the Sunni or Wahhabi half of the population, and discriminates against the other half. Prince Mohammed ben Salman advised his father to have Sheikh Nimr Baqir al-Nimr decapitated because he had dared to defy him. In other words, the state condemned to death and executed the leader of the opposition, whose only crime was to have formulated and repeated the slogan – « Despotism is illegitimate ». The fact that this leader was a Sheikh of the Shia movement only reinforces the feeling of apartheid against non-Sunnis, who are forbidden a religious education, and also forbidden to enter into public service. As for non-Muslims, about a third of the population, they are not allowed to practise their religion and can not hope to receive Saudi nationality. Saad Hariri, double national Lebano-Saudi. Leader of the Movement of the Future. Officially the son of Rafic Hariri, unofficially a prince of the Saudi royal family. On the international level, Prince Mohammed and his father, King Salman, are implementing policies based on those of the Bedouin tribes of the kingdom. This is the only way of understanding both their continued financing of the Afghani Taliban and the Lebanese Movement of the Future, the Saudi repression of the Revolution in Bahreïn, their support for the jihadists in Syria and Iraq, and the invasion of Yemen. The Saudis always support the Sunnites – whom they consider to be closest to their state Wahhabism – not only against the Shiites of the twelver Ja’fari school, but primarily against enlightened Sunnis, then against all other religions (Ismaelians, Zaydis, Alevis, Alawites, Druzes, Sikhs, Catholics, Orthodox, Sabateans, Yazidis, Zoroastrians, Hindus, etc.). Above all, and in all cases, they support exclusively leaders from the major Saudi Sunni tribes. 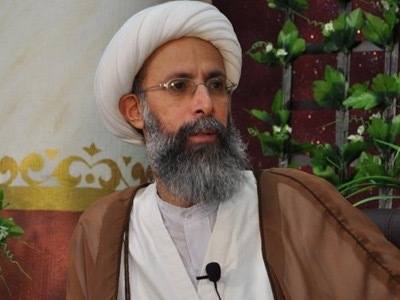 Incidentally, we should note that the execution of Sheikh al-Nimr follows the creation of a vast anti-terrorist Coalition of 34 states led by Riyadh. Since we know that the victim, who always stood against the use of violence, was convicted for acts of « terrorisme » (sic), we may conclude that this Coalition is in fact a Sunni alliance against all other religions. Prince Mohammed took it upon himself to launch the war against Yemen on the pretext of helping President Abd Rabbo Mansour Hadi, who had been overthrown by an alliance between the al-Houthi movement and the army of ex-President Ali Abdallah Saleh. In reality, the war was waged in order to seize the oil fields and exploit them with Israël. Predictably, the war went wrong, and the insurgents launched incursions inside Saudi Arabia, where the army fled, abandoning its equipment. Saudi Arabia is therefore the only state in the world which is the property of a single man, governed by this autocrat and his son, who refuse any form of ideological debate, who will not tolerate any form of opposition, and who accept only tribal serfdom. What has for many years been considered a residue of the past called to adapt to the modern world has thus progressively congealed until it has become the very definition of an anachronistic kingdom. The fall of the House of Saud may be provoked by a reduction in the price of oil. Incapable of reforming its life-style, the kingdom is borrowing hand over fist, to the point that according to financial analysts, it will probably collapse within two years. The partial sale of Aramco may temporarily postpone its demise, but this will only be possible at the cost of a loss of autonomy. The decapitation of Sheikh al-Nimr will have been the straw that broke the camel’s back. The fall of Saudi Arabia is now inevitable because there is no hope left for the people who live there. The country will be plunged into a mixture of tribal revolts and social revolutions which will be far more murderous than the previous Middle-Eastern conflicts. Far from acting to prevent this tragic end, the US protectors of the kingdom are awaiting it with impatience. They continually praise Prince Mohammed’s « wisdom », as if encouraging him to make even more mistakes. Already in September 2001, the US Committee of the Chiefs of Staff were working on a map for the re-modelling of the « wider Middle East », which planned for the separation of the country into five states. In July 2002, Washington was considering ways of getting rid of the Saud family, during a famous session of the Defense Policy Board. From now on, it’s just a matter of time. Keep in mind : The United States have managed to solve the question of the succession of King Abdallah, but today, they are attempting to lead Saudi Arabia into error. Their objective is now to divide the countrry into five states. Wahhabism is the state religion, but the power of the Saud family, both interior and exterior, depends exclusively on Sunni tribes, while it subjects all other populations to apartheid. King Salman (80 years old) leaves the exercise of power to one of his children, Prince Mohammed (30 years old.) The Prince has seized control of his country’s major companies, has declared war on Yemen, and has just executed the leader of the opposition, Sheikh al-Nimr. New evidences were revealed on Monday about the terrorist suicide bombing that went off in Dammam city, east of Saudi Arabia last Friday, and killed four people, the Saudi Al-Hayat newspaper reported. “The four martyrs prevented the terrorist, and threw him to the ground and grabbed him. However, he detonated the explosive belt that was strapped to his body at the moment, before the arrival of the security forces who were summoned by a fifth young man to arrest the terrorist,” the Al-Hayat stated. “They were five young men standing at the southern gate of the mosque of Imam Hussein. They were guarding the entrance to the outer wall, which is the corridor to the parking. Suddenly, a woman came out, who was in fact a terrorist disguised in a women’s cloak,” Bassem al-Ithan, an eye-witness and a Dammam resident told the newspaper. “He came out from between the cars on his way to the mosque. The young men prevented him, and they said that there is no prayer for women here under the order of the main cleric of the mosque, Sheikh Ali Al-Nasser, who announced two nights before that Friday prayers are banned for women,” he went on to say. “They prevented him from entering. He started to hesitate whether to go backward or forward. The men were skeptical about this woman who did not respond and did not utter a word. They tried to warn “her,” but he unmasked himself and attacked the young people, trying to enter by force,” Ithan said. A suicide bomber – disguised in women’s clothing – blew himself up in the parking lot of a Shiite mosque in Saudi Arabia’s Eastern city of Dammam. A member of the Popular Committees (PC) – formed of residents and are charged of defending the mosque and guarding the worshippers – suspected the terrorist and informed the Saudi security forces deployed there, yet he didn’t receive an answer. Then, he immediately rushed to catch the bomber who was hurry to detonate himself several meters away from the place, killing four people including himself. The blast also set several cars ablaze. Iraq has gone through real hardships in recent years. There were times when the country claimed to be the regional leader but the foreign intervention set it many years back. The events of 2014 put into question the very existence of Iraq as a state. In February 2015 Kurdistan Region President Massoud Barzani told the London-based Al-Hayat newspaper, «If Iraq wants to stay together it has to pursue a different system of governance». Actually the country has become divided. It’s extremely hard to piece it together again. There are influential forces that go to any length to prevent the unification process. The resurrection of Iraq as a strong, independent state is a nightmare for those who have achieved the main goal: it’s a long time since the issues of supporting Palestine and eliminating the «Zionist entity» (as they used to call Israel) vanished from the Iraqi agenda. Now they throw up their hands and complain about the intrigues of outside enemies. They believe that internal enemies are even more threatening. And they find them. Hatred and greed have become driving motives behind the actions of leading Iraqi political forces. Their miscalculations and intended deeds have moved the country to the brink of disaster – a full-scale civil war. Iraq has lost one third of its territory, including the cities of Mosul (with the population exceeding 2, 5 million till June 2014), Tikrit, Ramadi and other populated areas captured by radical extremists and sundry riffraff acting under the banners of Islamic State. In 2014 over 17 thousand people lost lives as a result of violence – the biggest death toll in the recent eight years. There were other things that happened in 2014. The Iraqi financial-economic system collapsed. Baghdad started to make official statements about bankruptcy taking place in the country rich in oil and gas. Unemployment has risen to 25% among able-bodied people. The government of Nouri al-Maliki even failed to come up with a draft budget leaving the country without a document of fundamental importance. The rampant corruption in «the new and democratic Iraq» has reached an unprecedented scale. They steal wherever and whatever they can. Iraqi embezzlers don’t invent complicated schemes. Contracts with front companies guarantee multi-million benefits with no responsibility to face. There is a plethora of examples. On November 28, 2014 Lebanese special services detained in Beirut Ahmed al-Maliki, the son of Iraqi former Prime Minister and current Vice President of Iraq Nouri al-Maliki. Ahmed was arrested for having more than US $1.5 billion cash with him. Security sources in Lebanon mentioned that Ahmed had received the money via an Iraqi bank that transferred it to one of the Lebanese banks for him. They also stated that it was not the first time Ahmed received a large sum from an Iraqi bank. According to them, the money was sent to buy property in Lebanon, as well as in some European countries. At the beginning of 2014, the US saw clearly that the time was ripe for changing the Iraqi government. US State Secretary John Kerry openly called on then Prime Minister Nouri al-Maliki to resign. The main goal of Washington is to maintain its control over the country. The prospects for losing the access to Iraqi oil made the West take more resolute actions than just weak protests condemning the Islamic State. In August an ad hoc meeting of the European Union was called in Brussels to discuss the measures to counter illegal oil trade practiced by the Islamic State militants. Two United Nations Security Council resolutions related to the issue were adopted in the following six months. Multiple conferences, meetings and consultations were held to discuss the problem. It’s not an easy mission for the West. Iran defends its interests in Iraq. It has enough leverage to challenge the United States. For instance, on September 8, the Iranian Ambassador to Iraq said his country would not support the new Iraqi government if Hadi al-Ameri, the leader of the radical Iranian-backed Badr Organization, did not head the Interior Ministry. Al-Ameri is an extremely odious figure in the eyes of Iraqis. At the beginning of the Iraq-Iran war of 1980-1988 Hadi al-Ameri changed sides and was personally involved in the tortures of Iraqi prisoners of war. He saw military service in the Iranian Revolutionary Guard Corps and was promoted to General’s rank. During the Nouri al-Maliki’s tenure he was appointed the Minister of Transportation. Big «Law Above All!» posters appeared at airport buildings. Only the transport of one company could be used to get to and from national airports. It became a rule applied to all, except foreign diplomats. The company belonged to the Minister’s son. They tell a story that once al-Ameri Jr. was late for a MEA flight from Beirut to Baghdad. The captain was forbidden to land in the Iraqi capital and the plane had to return and pick up the latecomer. An international scandal sparked but Hadi al-Ameri apologized only when MEA suspended all flights to Baghdad in protest. In the spring of 2014 Iranian advisors came to Iraq. Qasem Soleimani, a Brigadier General in the Iranian Army of the Guardians of the Islamic Revolution and the commander of the Quds force – a division of the Iranian Revolutionary Guards primarily responsible for extraterritorial military and clandestine operations – has visited Iran on a number of occasions. Tehran let know the inviolability of Shia shrines in Iraq became its direct responsibility. Amiri makes no secret of his close relationship with Iran — and squarely credits it with frustrating the Islamic State’s advances. «If it wasn’t for Iran, Baghdad would have fallen,» he said. «Iran supported us very well. They gave us weapons, they gave us ammunition, they gave us their military experience». The West did not watch the situation idly. Almost daily Baghdad and Erbil received US and European delegations visiting Iraq. As a result of employing a very crafty multi-phased scheme, the Iraqi ruling structures were completely changed without actually changing anything. Formally the changes were significant with only four ministers of previous government remaining in the cabinet and only one of them retaining his position. The decorations were changed accompanied by reshuffling the old pack of cards. The majority of old timers one way or another remained in the ranks of top echelon of power. Only spheres of responsibility and influence were changed. New positions were established (three vice-premiers and three vice-presidents) to make the old guard comfortable. Nouri al-Maliki became Vice President of Iraq to let know soon that he was not satisfied with the position of just another figurehead. According to him, he was ready to head the government if people wanted him to. The power is divided between Pro-Iranian and pro-Western (some politicians managed to join the both) groups. It’s a pity there is no pro-Iraqi representation. The absolute majority of those who came to power in Iraq have spent 20-30 years abroad – they are all united by the feeling of hatred towards the previous regime and everything related to it. In 2003 many of them were transported to Baghdad from London by allied aircraft. Today they are the ones the West relies on. In late December 2014, Iraqi President Fuad Masum waived his passport and nationality given to him by Britain and returned them back to the authorities. The Iraqi constitution stipulates in its article 18 on the «inadmissibility of the multiplicity of sexual Iraqi forces while serving in a position of a sovereign or a senior security abandoning any other nationality that is regulated by law». The President spared no words of gratitude to the United Kingdom. Nothing has ever been reported about other top officials refusing their British citizenship, for instance: Iraqi Prime Minister Haider al-Abadi, his deputy Ayad Allawi, Ibrahim Jafari, Iraq’s Foreign Minister. The list is not long. The advocates of Western type of democracy had to be mixed with those who have spent no less time in Tehran that the pro-Western opposition in London. They act as fierce supporters of Iran. Hadi al-Ameri is the best known among them. Many believe him to be a rather dividing than consolidating figure. Sunni Muslims offered stiff resistance opposing his appointment, but their opinion is ignored at best, and quite often force is used to quell them. The Sunni politicians allowed to make it to the top are not popular even among their community. For instance, Iraq’s Deputy Prime Minister Saleh al-Mutlaq barely escaped execution by Sunni Muslims when he visited the province of Anbar in 2012. Sunni protesters have been rallying in the area for more than a week to protest over second-class treatment by the Shiite-led government. The demonstrators insisted the Sunni official show support for their protest by submitting his resignation from the government. The appointment of Khaled al-Obeidi as Defense Minister may be considered as a kind of success reached by Iraqi Sunni community. 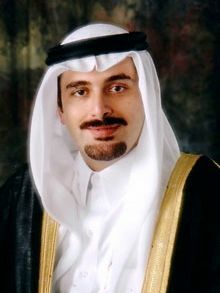 He took over the position from Saadoun al-Dulaimi, his wishy-washy predecessor with dubious reputation who failed to get a permanent appointment and served as acting minister for three years. The new defense chief is a well-educated technocrat (a former military aeronautical engineer) never reported to have any relation to political squabbles. Pretty soon he was accused of …oppressing Shia Muslims. The accusations were voiced in the parliament after the Defense Minister fired 29 Air Force officers. Haider Al-Abadi was appointed the head of government in August 2014. He was deputy leader of the Islamic Dawa Party (the Islamic Call Party) when it was headed by Nouri al-Maliki, his old time associate. In October 2014 the Iraqi parliament held hearings on the defeat suffered by the military when the Islamic State forces took Mosul and Tikrit. Nouri al-Maliki accused everyone around him attempting to deflect blame for the rout. For instance, Kurds were condemned for betrayal. He never admitted his responsibility as the supreme commander. The breathtaking success of the Islamic State in 2014 in Iraq would have been impossible if the Shia government led by Nouri al-Maliki had agreed to meet the demands (mainly just ones) of Sunni community in late 2013 for the sake of preserving the country’s territorial integrity. Instead it made Sunni Muslims, who account for a third of the country’s population, take arms. 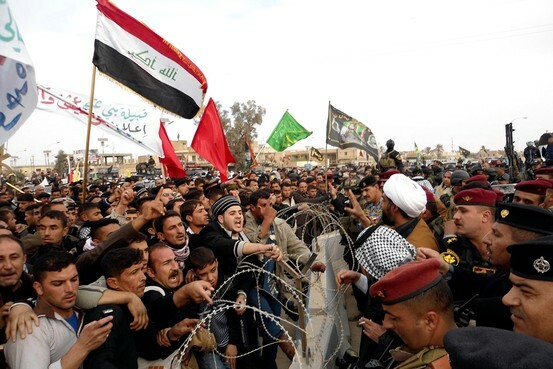 By the middle of January, Sunni Muslims established their control over almost the entire province of Anbar, large parts of Ninawa and Salah ad Din provinces and swathes of territories in four Iraqi other governorates (provinces). It opened the way for the Sunni Islamic State to enter Iraq from the neighboring Syria where it was retreating beforethe Bashar Assad’s forces and Kurds self-defense units of peshmerga volunteers. In a few months the military of Iraq suffered defeat while the Islamic State formations approached Baghdad with only 20-30 km left to get to the capital. The Iraqi regular forces fled leaving behind weapons and equipment. Five army divisions and a division under the command of the Ministry of Interior ceased to exist. Over 7 thousand military surrendered and were fusilladed, over 12 thousand are still listed as missing in action. The Islamic State seized 2,500 armored military vehicles (including 100 US-produced Abrams М1А1 tanks), artillery pieces, ammunition storages etc. The United States has spent around $22-24 billion on the Iraqi army which happened to be fully demoralized when it the time came to act. Actually there was no army in the «new Iraq» – it’s hard to call «an army» a crowd of armed people in uniform plunged into a vicious cycle of corruption and patronage. In September 2014 it came to light that there were over 60 thousand «ghost servicemen» crowding the payrolls of the Ministry of Defense and the Ministry of Interior (they call them «spaceman soldiers» or ‘fadhaiyin’ in Iraq) in major fraud. The money was pocketed by thieves in civilian clothes and in uniform. Selling military positions and ranks has become a popular business in the country. The anticorruption commission has recently revealed that there were senior officers on active service without military education who did not know how to read and write. Haider Al-Abadi, the new Prime Minister said the disarmament of armed formations and para-military forces operating outside the government control was a priority mission along with the fight against the Islamic State. But the new government still refuses to admit the fact that Iraq is split along ethnic lines. The plight of Sunni Muslims, who are insulted and humiliated, calls into doubt the accomplishment of set goals. It their turn, Sunnis put forward the conditions for the support of the newly formed cabinet. They demand a formation of a national guard and the amnesty for former members of the Baath Party. It should be noted that not only Sunni Muslims were the party members as the US propaganda says. Iraqi Sunnis want their formations to have an official status to join the government forces in their struggle against the Islamic State. Their tactical alliance with the Islamic State came to an end in the summer of 2014 after the supporters of the caliphate went on a rampage introducing barbarian laws. They took hostage the entire populated areas and mercilessly eliminated everyone suspected of resistance. Back then Sunnis began intensive activities in the enemy’s rear preventing the seizure of Baghdad. The Sahwa (or Awakening Councils) forces are a military militia of Sunni fighters. In their fight against the Islamic State they are joined by the Naqshbandi Army (the Army of the Men of the Naqshbandi Order), which is mainly manned by former professional military who served in the armed forces in the days of Saddam Hussein’s rule, as well as other Sunni armed formations. They all want one thing – up-to-date weapons. The central government stubbornly refuses to meet their demands. It went as far as to make the sheiks of Anbar province ask Iran for arms supplies. They approached Tehran on the issue in December 2014. As before, the Shiite members of parliament constitute an irreconcilable majority now. They have certain apprehensions concerning the request for arms supplies. Sunnis formations are 80-120 thousand strong, according to various estimates. Providing them with weapons may lead to the creation of a powerful force which could turn against the central government after the Islamic State is pushed out of Iraq. Baghdad finds this prospect more frightening than the emergence of Islamic caliphate. 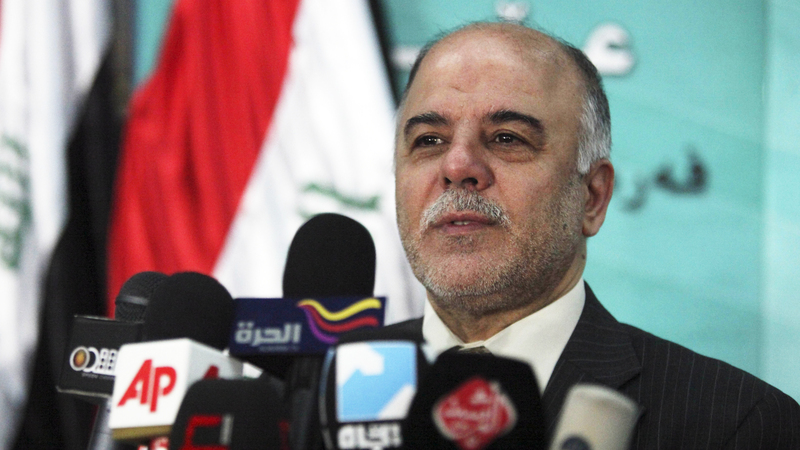 The bill prepared by Haider Al-Abadi was first sent back to the government. Then the Shiite members of parliament came up with an idea to include the people’s militia into the national guard or unite the Sunni armed units with the formations under the command of Hadi al-Ameri who believes that all Sunnis are supporters of the Islamic State and calls for their elimination on account of religious faith! He controls the Ministry of Interior which has twice as many personnel as the Ministry of Defense. The Shiite armed groups Asa’ib Ahl al-Haq, Peace Brigades (the Mahdi Army formerly) and Hezbollah come to the fore. New armed organizations have emerged like Division Abbas, for instance. They fill their ranks with Shiites only. Kurds are a special case. 95% of Kurds are Sunni but the religious factor is not as strong as ethnicity. They enjoy the support of the West and have gained ground to significantly strengthen their positions. A US air base is under construction near Erbil in the Kurdish region of northern Iraq. The Kurdish authorities consider Kirkuk and oil rich chunks of land to be the territory of Kurdistan. They are ready to use force to protect the Kirkuk’s status. Kurdish President Barzani says Kurds will not allow neither the Iraqi government forces, nor Shiite militia formations, nor anybody else enter the area. This land will always remain to be an inalienable part of Kurdistan. The Kurdish peshmerga forces did well fighting the Islamic State groups near Sinjar (Nineveh governorate), as well as in the provinces of Diyala and Kirkuk. Their commanders say they will join the Iraqi forces in the battle of Mosul but only because this city is located near Kurdistan and the radicals pose a threat to the Kurdish autonomy. Before that, Iraqi Kurds had actively supported Syrian Kurds by sending reinforcements to Kobane. Kurds have little desire to join the fight in the near-by areas which do not belong to what they consider as their sphere of interests (for instance, the Province of Anbar). 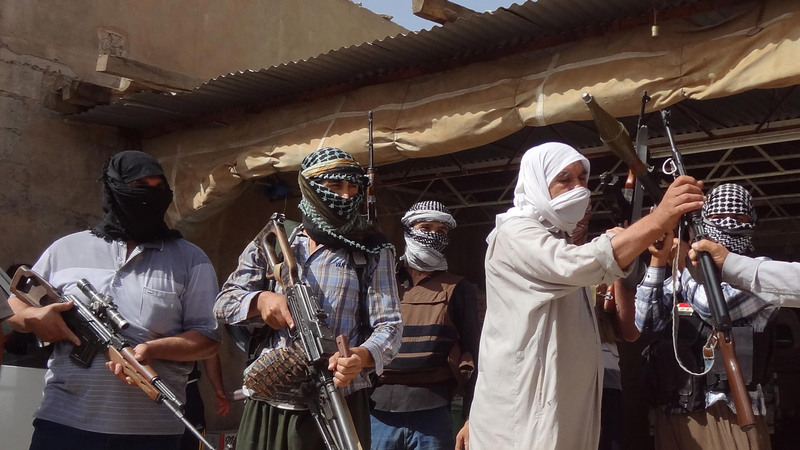 The Islamic State does its best to expand the battle area to other parts of the Middle East. They have attacked a Saudi border guard force, they threaten Jordan and try to get to US military facilities in Iraq. They have attacked air bases in Tikrit and Balad (2014), Ain al-Asad and Habbanii (2015) – the facilities with US military presence. The mission is to cause casualties among Americans and make them have boots on the ground. Shiites have let their stance known – in case of US ground forces intervention they will turn their weapons against Americans to change the correlation of forces. The Islamic State has turned into a global threat, that’s what everybody agrees with. Jordanian king Abdullah II believes it’s the start of WWIII. 60 states have joined the anti-Islamic State coalition while citizens of 90 countries have come to fight under the Islamic State banners. The militants’ armed formations are 20-80 thousand strong. The estimates vary according to different sources. Diversified, well-coordinated, tough and resolute steps are required to successfully counter the Islamic State. Nothing like that is on the horizon. The coalition announced its readiness to offer diplomatic, humanitarian and military support to Iraq. Some countries have sent military instructors to upgrade the Iraqi military skills. They all refuse the idea of boots on the ground. The United States and its allies have been constantly saying that the caliphate had to be eliminated. Since August 2014 the US aviation has been delivering air strikes against the Islamists with 15-20 sorties a day (two thirds of strikes are delivered against the Islamic State forces deployed in Syria). For comparison the anti-Iraq coalition made over 1000 sorties daily in 2003. On March 2, Baghdad announced its intention to launch an offensive to re-take Tikrit considered to be the main springboard for subsequent liberation of Mosul. The seizure of Tikrit and Mosul by Iraqi forces could become the starting point of the Islamic State’s debacle. It’s worth to note that the United States refused to provide air support in Tikrit because the Iranian Quds units (special operations) are taking part in the combat. On March 8, Iraqi media reported that Tikrit was fully encircled citing the sources linked to the people’s militia led by Hadi al-Ameri. On March 9, US Army General Martin Dempsey, the Chairman of the Joint Chiefs of Staff, met with Iraqi Prime Minister Haider al-Abadi and Defense Minister Khaled al-Obeidi during a day-long visit. He listened to the opinion of US advisers who took part in the planning of the operation. Looks like Americans are in no hurry to exploit the success. Anyway, this is the sixth attempt to recapture Tikrit during the recent ten months. In 2014 they cautiously predicted in Washington that the war against the Islamic State would last at least three years. Pentagon spokesman Rear-Admiral John Kirby has recently said it will take five years to defeat the Islamic State. It’s hard to imagine how much grief and suffering it will bring to many thousands of people. The Lebanese justice minister suddenly found out about a group of young people who burned the flag of the Islamic State in Iraq and Syria (ISIS). He seemed unaware that the spontaneous act, which jolted him out of bed, took place weeks ago and not “yesterday.” The incident happened as the Lebanese who still had some respect for their state and belief in its institutions were reacting to the shameful tragedy of Ersal. However, Ashraf Rifi’s relationship with time is neither linear nor chronological. It is philosophical and metaphysical. Like all these so called noblemen who do not retire, he is a man of principles. Before General Rifi indulges in an another obscure case, this time related to burning crosses (even sectarian incitement is based on parity), he should be thanked for unsettling the stagnant intellectual atmosphere. As his excellency is not busy these days, he decided to have some fun and entertain his fellow citizens or incite them, to be more precise. “Arrest those vandals and desecrators and take them to court,” one might imagine him screaming, like any devout patriot, whose faith and sentiments were wounded. Like his confusion over the date and aim of the protest in Sassine Square, General Tartuffe also forgot that God’s words are in the heart and mind, in our intentions and conscience, and in words and deeds, not on a piece of cloth representing a terrorist organization threatening to swallow the Levant. That is, unless there is an effort and will to eradicate it like the plague. The general’s “blunder,” however, is a strategic detail, only understood by the neighborhood commanders [in reference to the militants in Tripoli]. The important thing was that he initiated a debate in metaphysics: is the burning of a rag a crime in Rifi’s law, just because it contained words referring to religion and faith? This is pagan logic and not faith. But what is more important is that the protest took place in Achrafieh, meaning that these young people were “Nazarene.” What a travesty, “Nazarenes” burning Islamic symbols. This is how a man of the state stirred the sectarian cesspool, just like his comrade in the enlightened futuristic moderate movement did on Sunday. “You are closer to me than Wilayat al-Faqih [in reference to the Shia custodianship],” the distinguished Arab liberal Fouad Siniora told the audience of a conference a few steps from Sassine Square. For those who are unaware of the new intellectual standards of the ISIS era, this is called political moderation. Before General Rifi indulges in an another obscure case, this time related to burning crosses (even sectarian incitement is based on parity), he should be thanked for unsettling the stagnant intellectual atmosphere. Child prodigy Nadim Gemayel denounced the burning, which does not befit “the character of the people of Achrafieh.” The champion of freedom Ibrahim Kanaan decided to put on the cloak of Danton announcing: I will defend the “heroes” of Sassine Square. In short, the political bazaar functions at the expense of national unity and civil peace, with a malicious attempt to link terrorists with a certain section of the Lebanese people. The Lebanese are helpless, aren’t they? The murderers of the Wahhabi era were not late in entering the game and turning the question of the hostages into a confessional issue. Why not, as long as the idiotic political life in Lebanon allows it? Didn’t you listen to the spokesperson of the “new Lebanon” Monsieur Mustafa Houjairy announcing that releasing “the Christian hostages was delayed” because of the burnt flag in Sassine. Did you see? Either the visionary general was right or it was completely coordinated between brothers in arms. Unfortunately, the major role of the media today is playing the game of alarmism, whether out of professional integrity or for reasons of politics and populist incitement. The thorny question remains, where was the Lebanese media in all of this? How could it do its work in a minefield, without becoming an organ for a cheap agitator or a mailbox for a criminal organization? On August 3, when Al-Jadeed television channel interrupted the broadcast of a press conference by three MPs promoting sedition, we clapped with all our strength. We said the media should – and is obliged to – choose what it wants to present and how it wants to present it. Hopefully, this courageous and responsible position will become the rule in all thoughtful and serious media in Lebanon at this difficult time. Isn’t it possible to choose the events that should be broadcast and the form in which they are presented, in a critical manner, and from a distance when necessary? Unfortunately, the major role of the media today is playing the game of alarmism, whether out of professional integrity or for reasons of politics and populist incitement. It exaggerates incidents, positions, and statements, promoting fear, terror, isolation, and intolerance. Against its will – if we exclude platforms whose sole purpose seems to be promoting sedition, violence, intolerance, and degeneration, it is transformed into an objective ally of the black locusts menacing our region. There are violent images and videos we do not want to see. Not broadcasting them will not change anything in the citizens’ awareness and right to know and access information. Promotional or seditious messages by terrorists should be thrown in the trash or given minimum attention, without fanfare, elaboration, or leading with them, with the necessary antibiotics. Talk shows are full of political favoritism, collusion with politicians, and suspicious behaviour, instead of debate, which brings disgrace to all journalists. There are also field investigations we could do without, since they contribute to the sectarian atmosphere, tensions, fear, and ISIS propaganda. The farce of Abu Ibrahim was a small obstacle whose lessons should be solemnly learnt. This time, we are facing a new type of existential threat. It will determine our existence and freedoms for generations to come. It is time – instead of the folkloric united broadcasts – to commit ourselves and each other with a minimum of standards, which could protect stability and everyone in this country. It is time to establish an ethical and professionally binding charter, rejecting all types of sectarian incitement and indicating how to deal with terrorism and terrorists. Those who do not abide by it should be treated as an extension of the degenerate project working to drown us in a long and lasting night. Why did the Islamic State behead the Sunni soldier first? Ashraf Rifi, turn yourself in!